The present investigation is focused on experimental studies on the structure of airblast spray in crossflow. Atomizer is at a higher pressure than ambient and the airblast gas is expected to exhibit features generally found in under-expanded gas jets. High-speed images are captured using shadowgraphy technique. Certain wave-like structures observed in the near-nozzle region are attributed to shock–vortex interactions, generally observed in under-expanded gas jets. Proper Orthogonal Decomposition (POD) analysis has been carried out using these images. POD mode shapes clearly show signatures of shock–vortex oscillations and frequencies close to the screeching frequency observed in under-expanded jets. The POD modes are compared for different conditions and the significance of dynamic structures and their temporal behavior is discussed. Finally, a regime map is also proposed to characterize spray behavior in crossflow. 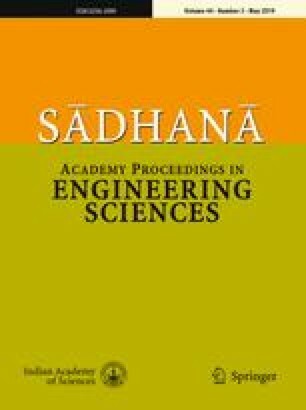 The authors thank for the financial support provided by the GATET programme of the Aeronautics Research & Development Board (ARDB), Government of India, for this work. The authors also thank Prof. Satya Chakraborty, and Dr. Ramgopal from IIT Madras for the help in POD analysis used in this study.